Pocket Wizard III: Firmware Version 1.200 Upgrade – Will it help you? We recently upgraded our Pocket Wizard III’s to firmware version 1.200 and learned a few things in the process. Pocket Wizard states that the new firmware update will allow the Pocket Wizard III to be set to trigger more quickly, which could reduce flash clipping at or around X-sync for some cameras. 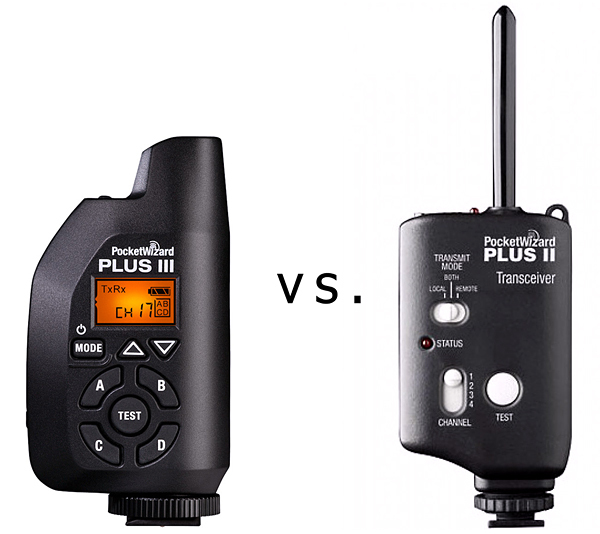 Our tests showed that the newly updated Plus III compared to the older, Pocket Wizard Plus II on a Canon 5D Mk III did not affect the clipping issue in a significant way. CONCLUSION: From our humble tests, we concluded that the Pocket Wizard version 1.200 firmware update does very little to reduce flash clipping in the Canon 5D Mk III or the Canon 1DX. Maybe with other cameras it is a different story . . . The increase in the X-sync speed of the 1DX is the result of its more advanced shutter, thus allowing a 1/250th sec. X-sync speed without clipping – even with the older Pocket Wizard Plus II. Our tests were set up based on the instructions from the version 1.200 firmware release notes. You can also refer to the Pocket Wizard Wiki for more information.